Maris holds a Master’s degree in Finance from BA School of Business and Finance. 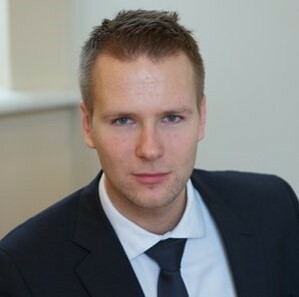 Most recently he spent 2 years in a corporate finance role working for the biggest telecommunications service company in Latvia – Lattelecom. Before that he spent 7 years in PwC. Two of them in New York, working exclusively in one of the largest (top 5 by market capitalization) S&P 500 Tech company’s lead audit team, which was responsible for managing other audit teams globally. He is a CFA charterholder and a member of the global body for professional accountants ACCA.